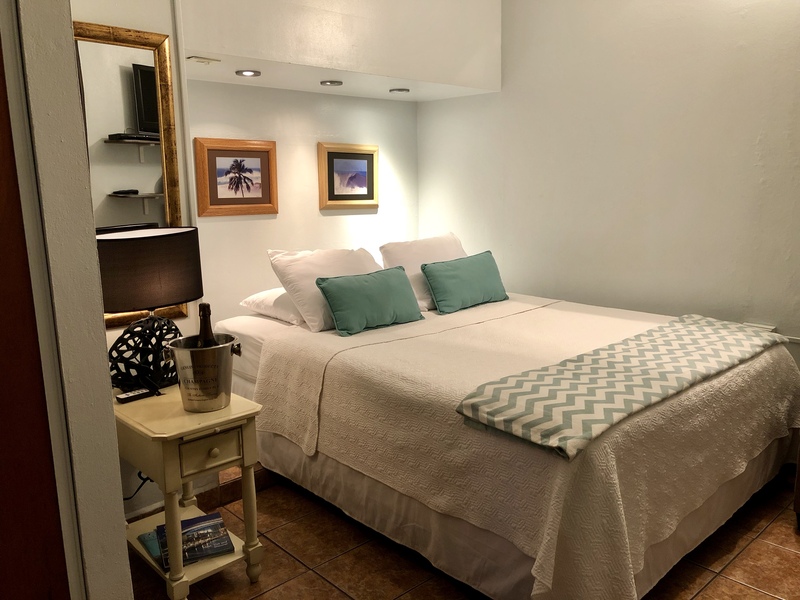 Along with partial ocean views steps away from our beach access with cozy tropical ambiance, room #1 sleeps up to 2 guests and is equipped with: 1 queen bed, private bathroom, outdoor patio set, air conditioner, refrigerator, coffee maker and Dish TV. 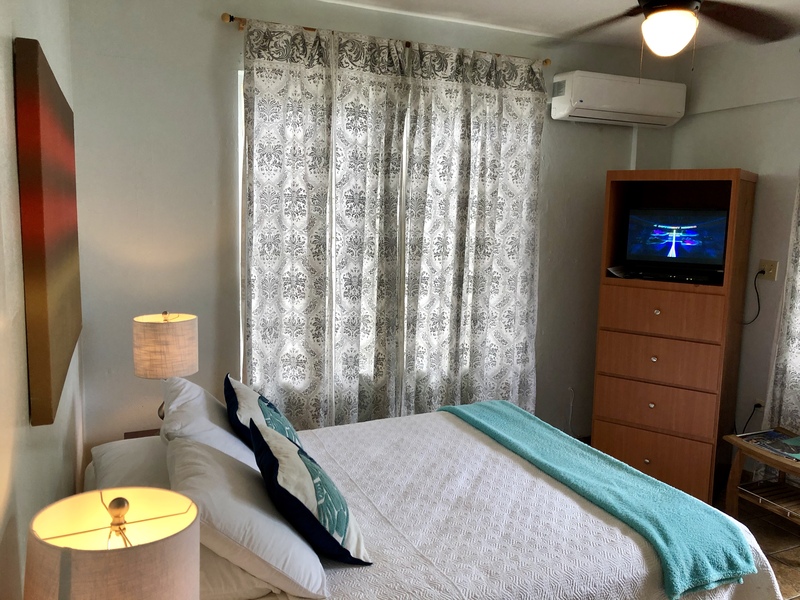 Steps away from our breathtaking ocean views & beach access with cozy tropical ambiance, room #2 sleeps up to 4 guests and is equipped with: 2 queen beds, private bathroom, air conditioner, refrigerator, coffee maker and Dish TV. 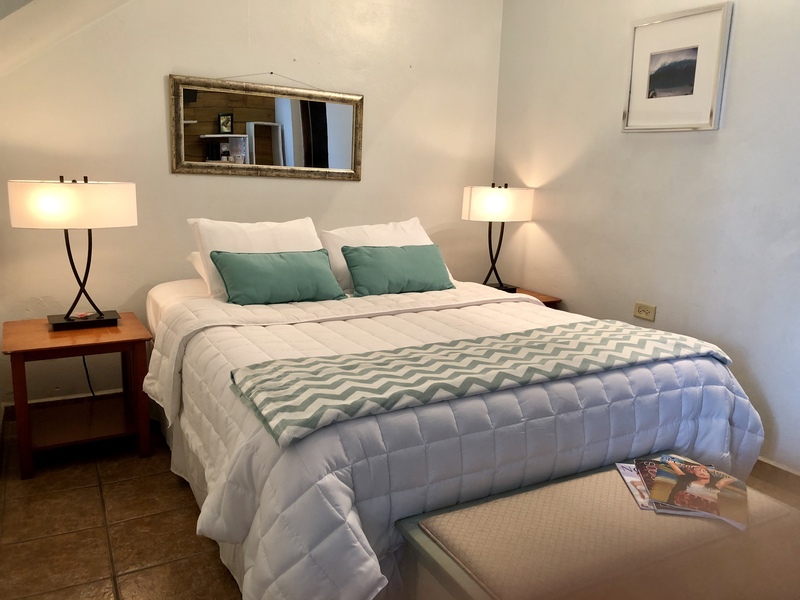 Steps away from our breathtaking ocean views & beach access with cozy tropical ambiance, room #3 sleeps up to 2 guests and is equipped with: 1 queen bed, private bathroom, outdoor patio set, air conditioner, refrigerator, coffee maker and Dish TV. 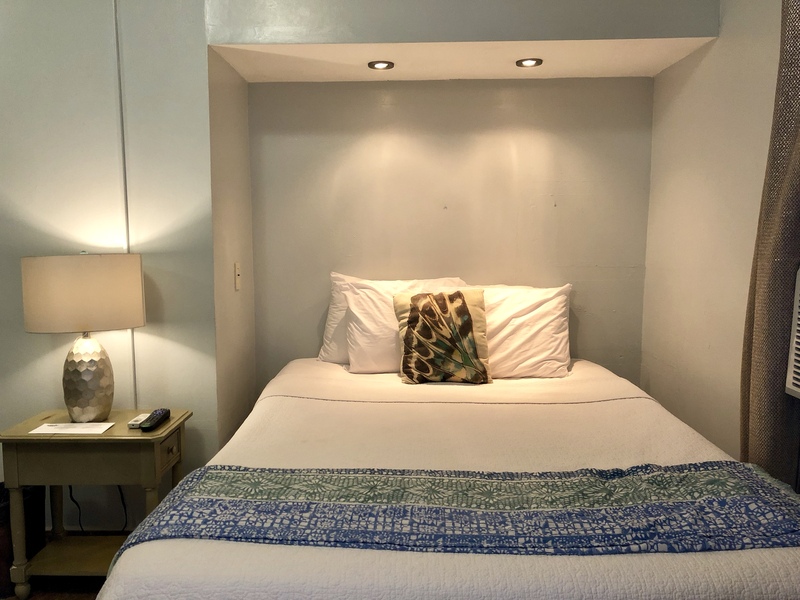 Steps away from our breathtaking ocean views & beach access with cozy tropical ambiance, room #5 sleeps up to 2 guests and is equipped with: 1 queen bed, private bathroom, outdoor patio set, air conditioner, refrigerator, coffee maker and Dish TV. This apartment sleeps up to 6 guests that are looking for a spacious and beautiful home away from home with two separate bedrooms, a fully equipped kitchen, large balcony with ocean view in receiving area, private balcony in master bedroom and a shared terrace. Room #6 is located on our second floor just steps away from the restaurant, bar and beach access. Apartment includes: 1 king bed in master room, 2 queen beds in the second bedroom, 1 private bathroom, air conditioner in each bedroom, refrigerator, stovetop, microwave, cutlery and kitchenware, coffee maker and Dish TV. 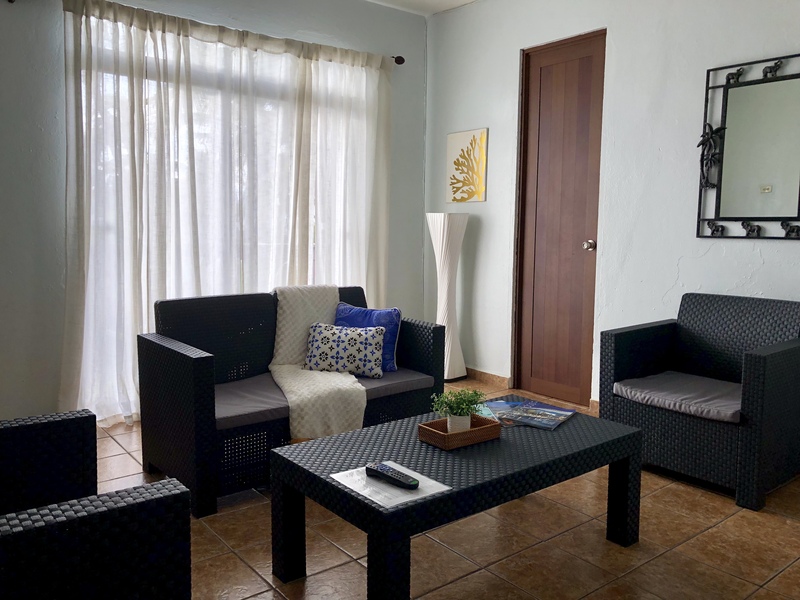 This apartment sleeps up to 4 guests that are looking for a spacious and beautiful home away from home with a receiving area, a large balcony with ocean view, separate bedroom with 2 queen beds and a shared terrace. Room #7 is located on our second floor just steps away from the restaurant, bar and beach access. Apartment includes: Receiving area, 2 queen beds, 1 private bathroom, air conditioner, refrigerator, microwave, coffee maker and Dish TV. 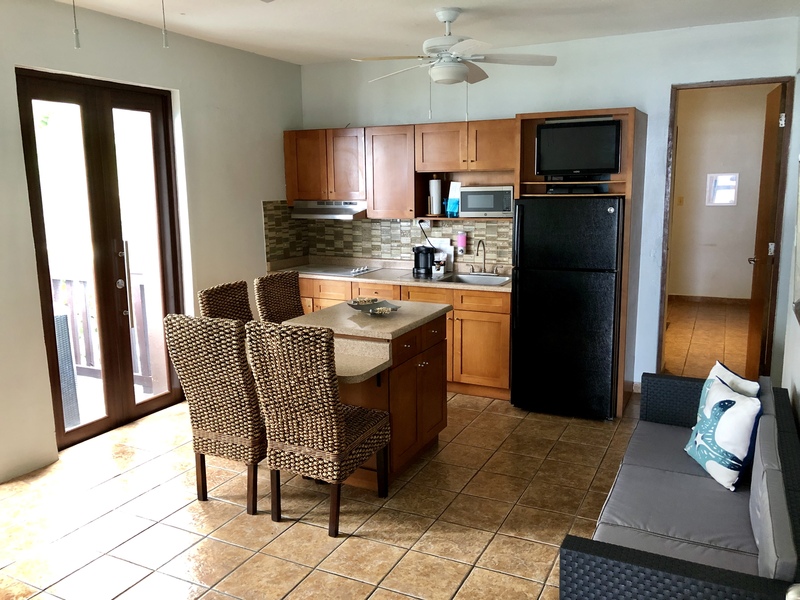 This room sleeps up to 2 guests that are looking for a romantic getaway with beautiful ocean views this being the only room with 2 large balconies with full ocean view and a shared terrace. Room #8 is located on our second floor just steps away from the restaurant, bar and beach access. Room includes: 1 queen bed, 2 balconies, 1 private bathroom, air conditioner, refrigerator, coffee maker and Dish TV. We accept VISA, MasterCard & Discover credit cards.